I offer a very unique approach to senior photography, going beyond the session and creating true experiences for my clients. So, I realized I needed to offer an equally unique model experience. I wanted to have a positive impact on these teens in high school and beyond, and I knew I needed to put something together that was amazing and unlike any of the traditional model programs. 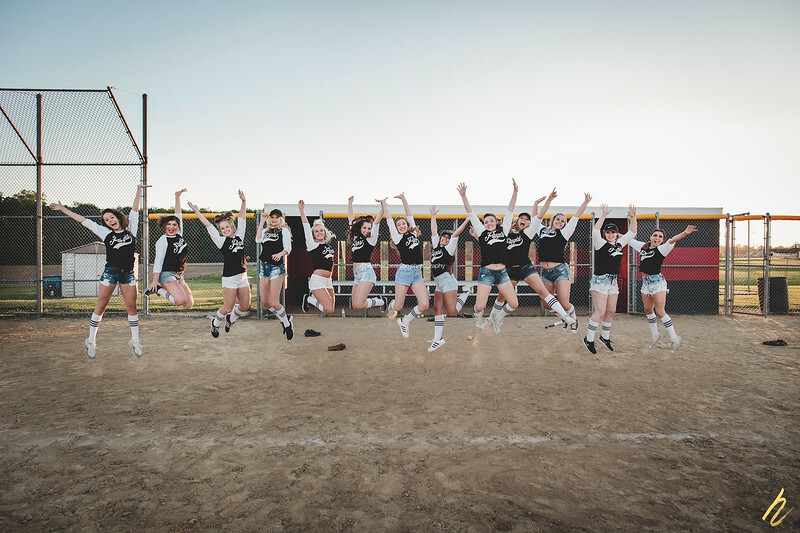 In 2015, the FLYGIRL program was launched, bringing a group of young people together for a year-long experience that would be the time of their lives! This program creates new friendships; builds positive self image; and encourages giving back to the community. Why the name? FLY stands for, "First love yourself." That is what I want my models to project and feel. It's so important to me to work with young ladies and help them see their personal beauty; the internal qualities that make them SHINE - having self-respect, giving back, and making good decisions to have a positive impact on their future. In turn, my hope is that these young ladies become role models, and carry with them their confidence and good will as they take the next steps in their lives. I hope they FLY! 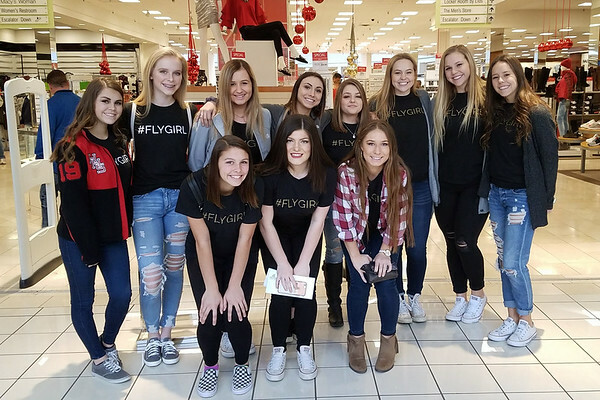 #FLYGIRLS - MORE THAN JUST PRETTY PICTURES - OVER THE PAST THREE YEARS, THE PROGRAM HAS RAISED OVER $20,000 FOR VARIOUS CHARITIES! 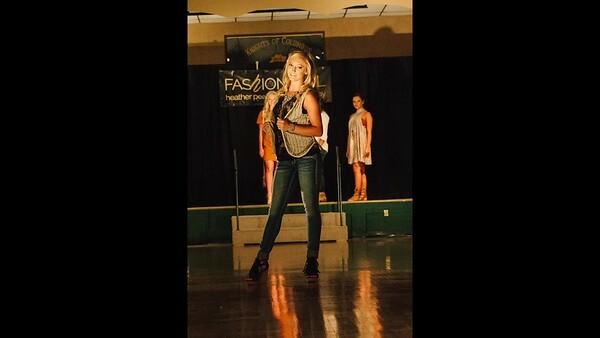 Our biggest event of the year is our annual charity fashion show. Fashion for LOL features all of the season's hottest styles for teens from casual attire to formal dresses! Guests dress to impress as they enjoy a night of fashion and fun. All proceeds from the event are donated to Leaps of Love, a local charity helping families affected by childhood cancer. Since our first show, Buckle Fairview Heights has been our main clothing partner, and we all LOVE working with them! The senior and teen #FLYGIRLS, along with children from Leaps of Love, are treated to VIP custom styling with Buckle to select their runway looks! 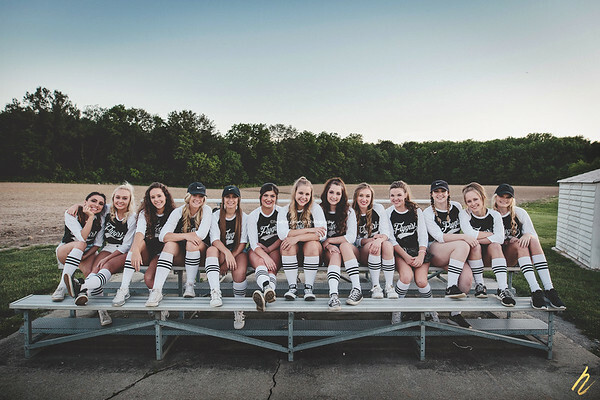 In addition, the senior #FLYGIRLS are invited to Frew's in Alton, IL, to view their huge selection of formal gowns and choose their favorites for the show! Please mark your calendars to join us on AUGUST 10, 2019, for our 5th Annual Fashion for LOL! Baywolfe will perform live after the show until midnight! It's a night you won't forget! Let's pack the house, cheer on these teens and children, and help support an amazing organization! Our first meeting with the LOL kids! As a team, we are always looking for ways to give back! In 2017, the #FLYGIRLS volunteered their time during the World Record Baseball Game 2017. This game is played each year in support of The Mission Continues, an organization who empowers veterans who are adjusting to life at home to find purpose through community impact. In 2017, we added another fun event to our community outreach! Each year, we hold a different event to raise money to for the Leaps of Love "Share Your Love" Program. This program provides gifts for children spending their holidays in our local children's hospitals. 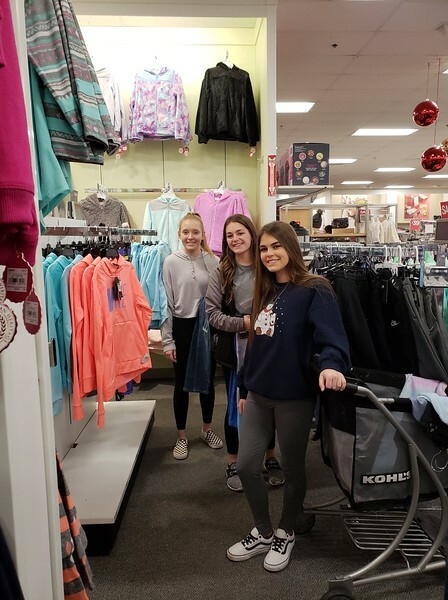 In addition to raising funds, the team and I get together for a fun shopping trip to fulfill the wish list items. It is an awesome feeling to watch the #FLYGIRLs pick out gifts for these children, and it warms my heart to know that these families will have so many of the things they wished for on Christmas Day! 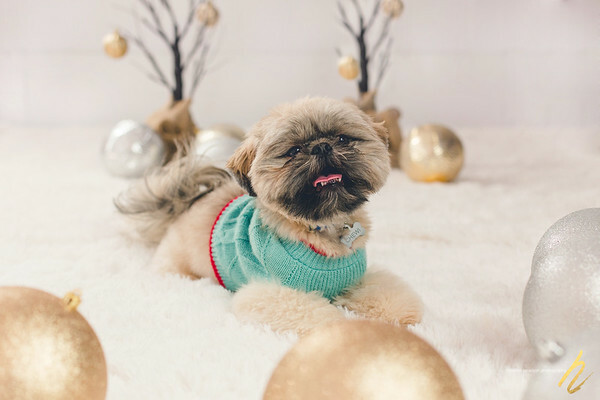 Another fun charity event is our Pet Photo Shoot! The #FLYGIRLS help spread the word and assist on the day of the mini shoots! We invite pet parents from the community bring in their pups for a free photo. In return, we ask them to bring in supplies or a monetary donation for our local no-kill shelter in Highland, IL. Keep an eye out for this event in early 2018! Too often, stories of bullying and teen suicide make national headlines. As the stories became more frequent, and the issues continued to surface in our own communities, we felt it was time to take a stand. Sometimes, it is easier to look away because it isn't happening to you. So, this video puts you in their shoes. While it was heartbreaking to do, reflecting the pain of those who are targets of bullies was the direction we chose in the hopes of making a memorable impact on each of you. Want to learn more about these AMAZING young women who are preparing to be fierce, positive, confident, shining examples to the world?